A Hard Reign: Eugene Chadbourne rules. 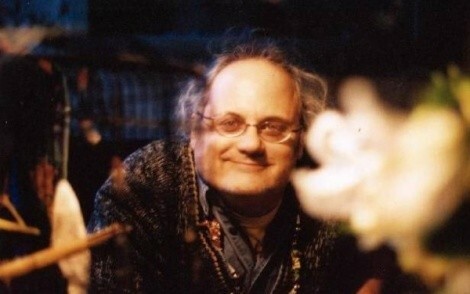 Eugene Chadbourne—or “Doc Chad,” as he prefers to be called—has protest music in his veins. He has worn numerous hats in his musical career spanning more than three decades, but the artists he’s accompanied on guitar and banjo— Camper Van Beethoven, Jello Biafra and They Might Be Giants—are more well known than he is. His creative input has always maintained a political edge that, along with his musical sensibility, owes much to the ’60s. Chadbourne’s early music-journalism career was sidetracked when the now-55-year-old escaped to Canada to avoid the Vietnam draft. Returning when President Jimmy Carter declared amnesty, he fired up his interest as a musician with renewed fervor. His early musical stylings were as far off-center as his politics, working with avant-garde musicians like John Zorn and Henry Kaiser, and into the ’80s in Shockabilly with Shimmy-Disc label guru Mark Kramer. These influences figure in his playing to this day. “I have always felt it is important for an instrumentalist to develop his own style, especially if it is a player that is doing improvising and solos, and that it is basically the impetus behind my developing the things I have on both the guitar and banjo,” he recalls. “The banjo style is influenced by the fact that I was a guitarist first, but not primarily by rock guitar.” The kind of experimentation he did with Zorn and Kaiser and even somewhat in Camper Van Beethoven and more commercial projects is rooted in a kind of improvisation that can go off in any direction, rock, jazz or a world of its own. Covers of the Yardbirds‘ “Shapes of Things to Come” and three Merle Haggard songs show his affection for music of the sixties, and it’s purely a matter of taste: “I love those songs, that is the only reason I cover anything. In terms of ‘Shapes of Things,’ there is also the idea of taking rock classics and reworking them for banjo, that is always fun.” His always-irreverent vocal takes recall classic ’60s pranksters like the Fugs and Frank Zappa. The title of the album is more than just a metaphor, as Chadbourne suffered a house fire in 2004 in which much of his belongings were destroyed. “The house fire mostly made chaos out of everything to do with my life but I carried on nonetheless and that in itself taught me a lesson,” he recalls. Like the political maelstroms he has weathered, he suffered through it, shrugged it off with a bittersweet guffaw and uses it as fuel to make more music.